It doesn’t make sense does it? Nope, not at all. But that is exactly what we’ve learned as we’ve interviewed couples for our 7 Rings of Marriage Web Show, and the book I’m writing. This month the web show goes live featuring the stories of couples who have amazing marriages, and who are helping others to create lasting and fulfilling marriages too. I don’t use the word “expert” on myself, and I use it very cautiously when speaking of others, but these couples definitely fall under the “expert” category when it comes to the marriage relationship and many things we all encounter and experience in marriage. It is amazing how part of the marriage experience and make up of their relationships includes those things which destroy many other relationships, and lead to divorce, separation, and broken families. They haven’t just been able to endure or survive, but thrive, while experiencing all 7 Rings of Marriage. In each episode we journey through the 7 Rings with each couple in respect to their marriage. While their marriages are different each in their own way, my wife and I have noticed some similarities and common practices which have helped each couple along the way. I have learned that just about every marriage, that is both lasting and fulfilling, experiences these 7 Rings, whether the couple realizes it or not. And most of the time a couple can determine which ring, or stage, of marriage they are at during a given time period. Each ring requires a specific focus to keep the marriage and the couple growing together versus growing apart. Stephana and I are so excited to share these conversations and experiences with you. During each conversation we felt like students learning valuable marriage lessons and principles that will improve our marriage. We’re certain you will feel the same. On Sunday, February 15th, at 8:30pm EST, we’ll be doing a live Google Hangout sharing some of our marriage story, and what you can expect during each episode of the web show. We’ll accept and answer your questions live on the Hangout as well. In addition, we’ll let you know the lineup of couples that will appear over the first few weeks. In order to join the Hangout you’ll need to click this link here, so we can email you a special link that you’ll need for the Hangout. You can only watch the show if you have this link. So, add your name to the list now. If you’ve never heard of the 7 Rings of Marriage, they are based on the marriage experiences and seasons my wife and I have gone through. I first shared it in a blog post here, and quickly found out many people could relate to each and every ring. Most recently I agreed to partner with LifeWay Christian Resources to publish a book, and a marriage curriculum based on the 7 Rings. Both the book and curriculum will be published in early 2016, but the web show is launching this month! Do you want to hear what it takes to have a lasting and fulfilling marriage from those who are experiencing just that? Then join us Sunday evenings with your spouse, and let’s take this journey together. 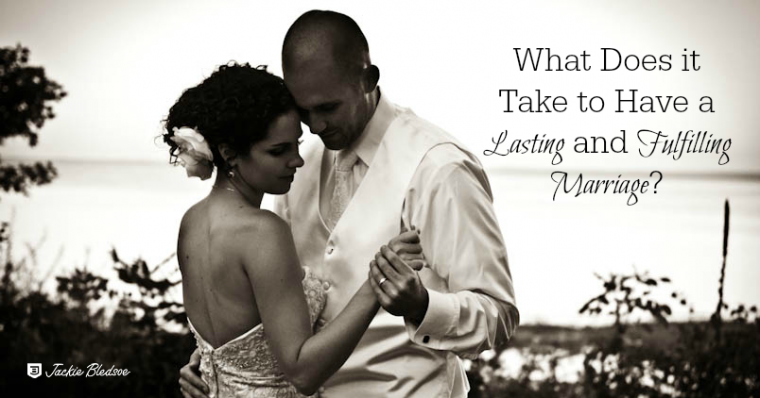 Question: What do you think it takes to have a lasting and fulfilling marriage? You can leave a comment by clicking here.